The Mizuno MP-63 Irons are forged using Mizuno's legendary Grain Flow Forging process, delivering soft feel and optimal response. 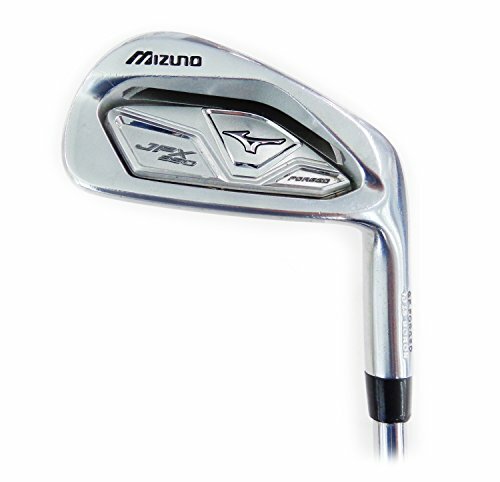 This iron feature's what Mizuno calls their "Player's Cavity"-a shallower cavity with a little 'muscle' behind it! Mizuno's engineers have used Modal Analysis to develop not only a superior feeling club, but a superior sounding club as well. The MP-63 features a tailored sole with a visible grind and trailing edge to deliver superior turf interaction. Forged -These irons are forged from 1025E Pure Select mild carbon steel to deliver superior sound and feel. Standard Headsize -The MP-63's retain the MP's iconic standard headsize and thin topline. Slight Offset -The MP-63 irons have very little offset to promote better control and shot-shaping capabilities.